My Mouse and Keyboard Stopped Working, but Work Elsewhere. How Do I Fix Them? - Ask Leo! If your mouse and keyboard stop working, you may be able to repair the situation -- if you can overcome one huge obstacle. I believe the maintenance tool “cleaned up” the drivers for your mouse and keyboard. In other words, it removed them and replaced that software with something else — something that obviously doesn’t work. I can’t really say why it did so. Perhaps it mistakenly thought the driver software was malicious. Perhaps, as a performance optimization, it thought there was a better choice. Perhaps it just screwed up. Either way, it made a mistake. There’s too little to go on to say whether that’s serious enough to stop using that tool. If it makes mistakes like this consistently, of course, I would look for an alternative. First, I would try a different mouse and keyboard if you have some lying around. While it’s more likely this problem affects all USB mice or keyboards, there’s a chance it doesn’t. If so, and these replacement devices work, this makes interacting with the computer significantly easier. You can still try some of the steps below to restore your original devices’ functionality, but as you’ll see in the next steps, at least you can do so relatively easily. Honestly, if this were my machine and I wasn’t lucky enough to have a different mouse/keyboard combination that worked, I’d restore my machine to an image backup taken prior to the problem. That way, I’d effectively “undo” the damage, and would know not to run that tool again without understanding why it disabled the input devices. This is another case in which a recent image backup can save you a lot of hassle. If you haven’t been taking image backups, or don’t have one recent enough to go back to without a lot of loss, then things get uglier. If, as I suspect, no mouse or keyboard will work, then you have a dilemma, as all of the recovery steps require you to at least type into the machine. Remote access. If your machine has remote access configured (Remote Desktop is enabled, or you have some other remote access software installed), and you can access it from another machine, do that. Ideally, the other machine will be local, and you can connect to your problem child from a machine on which the mouse and keyboard work. Safe Mode. Whatever disabled your mouse and keyboard did so within Windows, which would not affect your BIOS or UEFI. That means you should be able to enter safe mode by pressing F8 (perhaps repeatedly) as your machine boots. I honestly don’t know if your keyboard and mouse will work in safe mode, but it’s certainly worth a try. Recovery disk. You might try booting from a recovery disk and see if the repair tools on that disk give you some options to non-destructively fix your mouse and keyboard drivers. I’m generally not hopeful of this method, as most repair discs focus on options to reinstall Windows. Before you take that path, be sure to read the notes on backing up, below. If you can access to your system one way or another, then there are two approaches to attempt to repair the damage. First, locate, download, and install the latest drivers for your keyboard, your mouse, and possibly USB in general. You would normally find these at the appropriate website of either the device manufacturer or your computer manufacturer. That sounds scarier than it really is, but honestly, you don’t have much to lose at this point. If you’ve gotten this far without success, your remaining options are few. Before we explore what they are, I strongly suggest you take an image backup of your entire machine. That means rebooting the machine from your backup software’s “emergency” or “recovery” disk, and using the tool not to recover, but to back up. Again, since the problem you’re having is with your installed copy of Windows, booting from a different disk bypasses that problem, and you should be able to interact normally with the backup software. 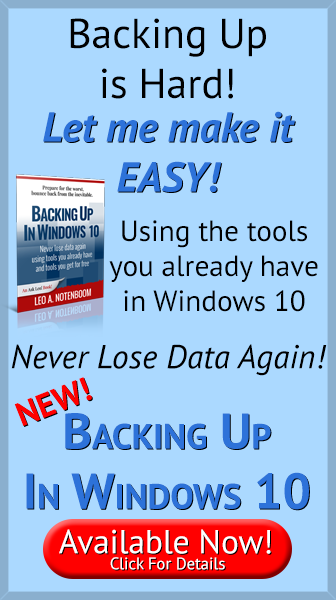 Create a backup of everything and set that aside. Things are about to get destructive. Reinstall Windows, asking it to “preserve files”, which means your data files will not be erased. Your installed programs on the other hand, will be, and you’ll need to reinstall them when Windows is working again. Reinstall Windows from scratch, which erases everything for you to start over. Honestly, having just backed up everything, I’d use this as an opportunity to start over with a completely clean slate. Once you’ve done so, reinstall your applications and restore your data from the backup or elsewhere. And, presumably, think twice about running that maintenance program again. At least perform a full backup again before you do so, so that any damage is more easily undone the next time you try. Can I use both a wireless mouse and keyboard without plugging in another USB receiver? 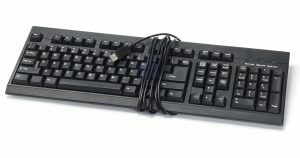 - Several technologies run wireless mice and keyboards, so you should be able to find the features that you want. Why does my wireless mouse stop responding? - First, we have to be sure that it's actually the mouse freezing, and not the whole computer. Once that's decided, we'll look for solutions. « Previous post: Downloading copyrighted files without permission is illegal. It doesn’t matter what technology you happen to use to do it. The biggest issue here, is that unless you are using a gaming mouse, an RGB keyboard, or other sort of specialized mouse & keyboard, no one writes drivers for them anymore. They depend on Windows built in generic drivers, hence the ” plug & play ” aspect of most keyboards, and mice. I’m thinking that the questioner used Windows Clean up, or CCleaner, and did not pay attention to what the programs selected for removal before pushing the button. I have been left without USB support for my mouse and keyboard at times over the years. plug in the mouse and KB, restart and get to trouble shooting. Unfortunately newer machines have only USB ports. I have seen comments that Windows 10 1709 cumulative update KB4074588 caused this to happen, and Microsoft say that this issue is resolved in KB4090913. Yes! I had this happen about a week after KB4074588 was installed. Worked fine after the update until I restarted the computer a week later. Then mouse and keyboard were recognized when plugged in, but had no power to work (no LED on mouse) after Windows started. Same problem in SafeMode. But worked fine in BIOS and if I booted from Reflect boot disk. Had to restore from prior day’s backup, remove that KB update, and reinstall it. Worked fine after. And Microsoft tech told me this was an emerging problem on some computers. Leo, I sent you more detailed info about this problem about 4 weeks ago. Here are the additional details I experienced: Microsoft pushed an update around 2/13/18, KB4074588 (OS Build 16299.248). No problems right away, but on 2/19, when I woke my Windows 10 Pro, HP Phoenix 860 PC from sleep, neither the mouse nor keyboard (both hardwired) would work. I could see the computer getting emails, running Macrium Reflect backups, etc., but I couldn’t communicate to the computer to turn it off. I finally held the power button and shut it off. After trying many solutions, I discovered the usb ports work in bootup/BIOS but only until the windows splash screen displays. They work if I boot with the Reflect boot disk. They don’t work in Safe mode once Windows runs. Turns out, after the update if you change an item plugged into a usb port, the next time the computer starts, or comes out of sleep (on some subset of machines) it will turn off power to the usb ports. I finally found a solution: uninstall that update, and it will work fine. Even when that update installs again it will continue to work for most people. Fortunately, per Leo’s recommendation, I make daily image backups with Reflect, so I could restore to various dates. I found that restoring to 2/12/18, before the update, it worked fine. Restoring to the day before the failure manifested made it work fine. But only until it restarted then the problem was back. So I restored to 2/18/18, removed the update, let it reinstall the update, and it has been working fine ever since. Microsoft acknowledges there is a problem – I was able to talk to a tech who admitted the problem, but he didn’t have a solution. I found the solution on the Microsoft forum and on AskWoody.com. It is strange that reinstalling the update – which has the exact same build number – does not cause the problem again. I haven’t found the root cause yet. Nor why not all computers are affected. I told Microsoft that I had daily backup images in case they wanted to use them to troubleshoot how it manifests, but they haven’t taken up my offer. Ditto, Ditto, Ditto. The big clue was “… [computer] that has been upgraded to Windows 10.” No clean-up software is going to “make a mistake” and get rid of drivers. By now people should know that if they upgrade or update Windows 10, that’s the first place to look for the cause of a new problem. My PC (A Lenovo running Windows 10) occasionally freezes, in that the mouse dies (the led on the bottom goes out) and the cursor is frozen in place. At the same time the keyboard has no discernible function at all. This can happen in the middle of anything I’m doing and the only way out I’ve found is to pull the plug and restart. Waiting several hours (just in case there is something the PC wants to do) is no cure. Like others I’ve tried the mouse and keyboard in another PC (running XP) and all is fine. The mouse and keyboard from my XP machine work just fine in the W10 machine, providing its in a working mode. I believe the article actually answers your question. I’ve had similar issues and the solution was to do shut down, disconnect power, and start again from scratch (NOT just a restart). Sometimes I’ve had to do this multiple times to get the keyboard to work. If the ports are available using a PS2 keyboard and mouse will work. This problem happened to me on a laptop and an improperly installed Windows update was the culprit. Fortunately the built in keyboard and touchpad worked and I simply uninstalled the most recent update and restarted. The next time the update was installed correctly. One of the computers I use at work has a similar problem – it gets restarted each weekday and sometimes when it restarts, neither the mouse or keyboard works. Both are PS2 devices. Sometimes it takes 2 or 3 power cycles before the computer finds them again. The computer runs Windows 7. Any thoughts? I had the same problem with the mouse and keyboard not working after Microsoft reloaded Windows on my Dell desktop. After the mouse and keyboard were restored the cd/dvd drive stopped working. Any suggestions on restoring the D: drive. Thanks for any help. It sounds counterintuitive but it often helps to go into “Devices” under “Settings” and remove the device driver for that drive. Windows will notice that there’s a device without a driver and reinstall it. That could be a driver problem or a hardware problem. If it’s a driver problem, downloading the driver from the laptop manufacturer and reinstalling it would fix the problem. If that doesn’t work, then it’s likely a hardware problem. In that case, you should be able to use a USB mouse. I have a problem with my Lenovo E530 mouse and keaboard they just stopped working i thought mybe there is something wrong inside i opened it finding out that one wire (rite side) on a keaboard was out i dont know how but I did put it back still not working,What could be a problem my keaboard or computer it’s self? Impossible to say from here. Could be either. You may simply need a tech to take a look, particularly if there were loose wires. I have to disagree that this happens only on machines which have been upgraded to Windows 10, but I certainly think it is probably due to errors which occur during or due to Windows updates. I have seen this kind of thing happen over the past month or two to a handful of the 50-60 or so machines at work which generally are running Enterprise versions of Windows, either 7 or 10, installed from corporate image. I have seen it three times on Win 7 and maybe once on Win10. My first thought on this, and the general complaint from users, is “My mouse went bad, I need a new mouse!” My diagnostic on this has been to plug in a different USB LED mouse (MICE?) only to find that, contrary to usual practice, the light never goes on in the added or replaced mouse. Also I have seen it affect both older and new models of mice, although here these have only occurred from late July through September 2018, so I would assume a different/later update from those mentioned above may have been the culprit, I didn’t try to localize it. Fortunately in my experience it has only affected the mouse and not the keyboard, so I was able to unlock the machines and use keyboard commands to save and close open files and programs and then open a command window and issue the “shutdown /R” command to reboot the machine. After the reboot the mouse LED came back on. Which USB port the mouse was plugged in to did not make any difference, as far as I can tell whatever glitch occurred caused the power to be shut off on the USB ports themselves. Sometimes the computer reported a failure of a device plugged into a usb port, but it seemed the usb ports themselves were powered off. On the first machine I noticed this on, which was my own, my keyboard was plugged into a set of USB ports on the rear of machine while the mouse was plugged into the front, so maybe trying a different bank of USB connectors would help.